Forest is a hint of citron, golden raspberry and shaved ginger submerged into a deep woodsy green base of clary sage, falling leaves, scotch pines, creamy sandal, red cedar & white musk. 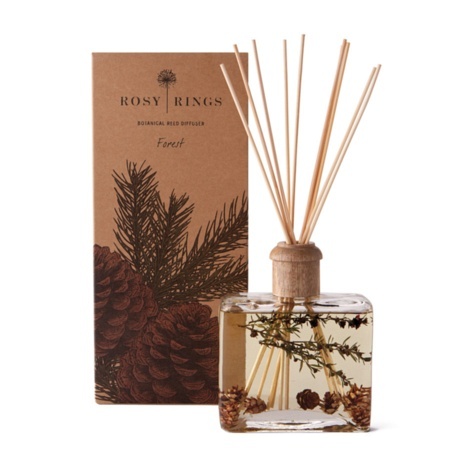 Made with hemlock cones, leptospermum sprigs, essential & high quality fragrance oils. Each 13 oz. bottle comes with a decorative wooden cap and 10 reeds. The fragrance will last 6-9 months.